King James's policies of religious tolerance after 1685 met with increasing opposition from members of leading political circles, who were troubled by the King's Catholicism and his close ties with France. The crisis facing the King came to a head in 1688, with the birth of his son, James, on 10 June (Julian calendar). [a] This changed the existing line of succession by displacing the heir presumptive (his 26-year-old daughter Mary, a Protestant and the wife of William of Orange) with young James as heir apparent. The establishment of a Roman Catholic dynasty in the British kingdoms now seemed likely. Some Tory members of parliament worked with members of the opposition Whigs in an attempt to resolve the crisis by secretly initiating dialogue with William of Orange to come to England, outside the jurisdiction of the English Parliament. Stadtholder William, the de facto head of state of the Dutch United Provinces, feared a Catholic Anglo–French alliance and had already been planning a military intervention in England. After consolidating political and financial support, William crossed the North Sea and English Channel with a large invasion fleet in November 1688, landing at Torbay. After only two minor clashes between the two opposing armies in England, and anti-Catholic riots in several towns, James's regime collapsed, largely because of a lack of resolve shown by the king. This was followed, however, by the protracted Williamite War in Ireland and Dundee's rising in Scotland. [b] In England's distant American colonies, the revolution led to the collapse of the Dominion of New England and the overthrow of the Province of Maryland's government. Following a defeat of his forces at the Battle of Reading on 9 December 1688, James and his wife Mary fled England; James, however, returned to London for a two-week period that culminated in his final departure for France on 23 December 1688. By threatening to withdraw his troops, William, in February 1689 (New Style Julian calendar),[a] convinced a newly chosen Convention Parliament to make him and his wife joint monarchs. When James inherited the English throne in 1685, he had much support in the 'Loyal Parliament', which was composed mostly of Tories. His Catholicism was of concern to many, but the fact that he had no son, and his daughters, Mary and Anne, were Protestants, was a "saving grace". James's attempt to relax the Penal Laws alienated his natural supporters, however, because the Tories viewed this as tantamount to disestablishment of the Church of England. Abandoning the Tories, James looked to form a 'King's party' as a counterweight to the Anglican Tories, so in 1687 James supported the policy of religious toleration and issued the Declaration of Indulgence. The majority of Irish people backed James II for this reason and also because of his promise to the Irish Parliament of a greater future autonomy. By allying himself with the Catholics, Dissenters, and Nonconformists, James hoped to build a coalition that would advance Catholic emancipation. In 1687, James prepared to pack Parliament with his supporters so that it would repeal the Test Act and the penal laws. James was convinced by addresses from Dissenters that he had their support and so could dispense with relying on Tories and Anglicans. James instituted a wholesale purge of those in offices under the crown opposed to James's plan. In August the lieutenancy was remodelled and in September over one thousand members of the city livery companies were ejected. 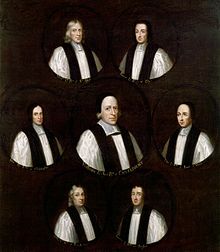 In October James gave orders for the lords lieutenants in the provinces to provide three standard questions to all members of the Commission of the peace: would they consent to the repeal of the Test Act and the penal laws; would they assist candidates who would do so; and they were requested to accept the Declaration of Indulgence. In December it was announced that all the offices of deputy lieutenants and Justices of the Peace would be revised. Therefore, during the first three months of 1688, hundreds of those who gave hostile replies to the three questions asked were dismissed. More far-reaching purges were applied to the towns: in November a regulating committee was founded to operate the purges. Corporations were purged by agents given wide discretionary powers in an attempt to create a permanent royal electoral machine. Finally, on 24 August 1688,[a] James ordered writs to be issued for a general election. James also created a large standing army and employed Catholics in positions of power within it. To his opponents in Parliament this seemed like a prelude to arbitrary rule, so James prorogued Parliament without gaining their consent. At this time, the English regiments of the army were encamped at Hounslow, near the capital. It was feared that the location was intended to overawe the City. The army in Ireland was purged of Protestants, who were replaced with Catholics, and by 1688 James had more than 34,000 men under arms. Mary had married her cousin William Henry of Orange. Both were Protestants and grandchildren of Charles I of England. Before the birth of James's son on 10 June,[a] William had been third in the line of succession. [c] There was a strong faction, however, at the English court, headed by Robert Spencer, 2nd Earl of Sunderland, proposing that Mary and William, because of their anti-Catholic position, should be replaced by some Catholic French heir. Since he had become king the relationship between James and his nephew and son-in-law had gradually deteriorated. Initially William welcomed the promise of a less pro-French policy. In 1685 he sent the Scottish and English mercenary regiments of his army to England to assist in putting down the Monmouth Rebellion. Soon James's policy of religious tolerance caused tensions to rise between them. William assumed it was but the first step towards a total re-Catholicisation of England and was unable to explain how James could hope to achieve this goal unless he had concluded a secret alliance with France. James's refusal to enter any anti-French coalition and his efforts to reorganise the Royal Navy increased William's suspicions. In the previous years the French navy had grown significantly in strength and the Dutch Republic would no longer be able to resist a combined Anglo-French attack. William feared that even English neutrality would not suffice and that control over the Royal Navy was a prerequisite for a successful naval campaign against France. The correspondence between William and the English politicians was, at first, sent by ordinary post to genuine addresses in either country and then distributed. Devices were used such as ending a postscript with "etc. ", which meant spaces were actually written in white or invisible ink. As the conspiracy neared completion in 1688, the English government sometimes disrupted this correspondence by holding up the whole mail delivery system. In another method to keep this clandestine correspondence flowing, letters were sent in merchant ships between London and Amsterdam or Rotterdam, with outward bound letters often put on board below Gravesend, after the final customs clearance. Also, couriers for the purpose were sometimes used, and all Dutch diplomats travelling to and from either country carried the correspondence. Shortly before the invasion, when rapid delivery and secrecy were essential, fast yachts and small vessels were used for special courier services. The English government intercepted very few of these means of communication. —  invitation by The Seven. Meanwhile, William's confidante Willem Bentinck launched a propaganda campaign in England. In the numerous pamphlets distributed, William was presented in the best possible light; as a true Stuart yet blessedly free from the usual Stuart vices of crypto-Catholicism, absolutism, and debauchery. Much of the later "spontaneous" support for William had been carefully organised by Bentinck and his agents. For William the English problem was inextricably intertwined with the situation in Germany. Only if the attention of Louis XIV was directed to the east could William hope to intervene in England without French interference. For this it was essential that Austria continued opposing the French demands regarding Cologne and the Palatinate. In May, William sent an envoy, Johann von Görtz, privy councillor of Hesse-Cassel, to Vienna to ensure secretly the support of the Holy Roman Emperor, Leopold I. Learning that William promised not to persecute the Catholics in England, the emperor approved of the expedition, promising in turn to try making peace with the Ottoman Empire to free his forces for a campaign in the West; on 4 September 1688 he would join an alliance with the Republic against France. The Duke of Hanover, Ernest Augustus, and the Elector of Saxony, John George III, assured William that they would remain neutral, though it had been feared they would take the French side. The next concern was to assemble a powerful invasion force – contrary to the wishes of the English conspirators, who predicted that a token force would be sufficient. For this William needed funding by the city of Amsterdam, then the world's main financial centre. In earlier years Amsterdam had been strongly pro-French, often forcing William to moderate his policies, but a tariff war waged by Louis from 1687 against the Republic and French import limitations on herring, a major Dutch export, had outraged the wealthy merchants. Nevertheless, only after secret and difficult negotiations by Bentinck with the hesitant Amsterdam burgomasters during June could 260 transports be hired. Additionally, the burghers were uneasy about the prospect of denuding their homeland of its defences by sending the field army – roughly half of the total peacetime strength of the Dutch States Army of about 30,000 – overseas. Bentinck, who had already been sent in May to Brandenburg to recruit, but without much result, therefore negotiated contracts from 20 July (Gregorian calendar) for 13,616 German mercenaries from Brandenburg, Württemberg, Hesse-Cassel, and Celle to man Dutch border fortresses in order to free an equal number of Dutch elite mercenary troops for use against England. As the Dutch would typically double or triple their total army strength in wartime, the numbers were low enough to be explained as a limited precaution against French aggression. Shortly afterwards, Marshal Frederick Schomberg was instructed by William to prepare for a Western campaign. Further financial support was obtained from the most disparate sources: the Jewish banker Francisco Lopes Suasso lent two million guilders; when asked what security he desired, Suasso answered: "If you are victorious, you will surely repay me; if not, the loss is mine." Even Pope Innocent XI, an inveterate enemy of Louis XIV of France, provided a loan to William, though a relation with the invasion has been denied. Total costs were seven million guilders, four million of which would ultimately be paid for by a state loan. In the summer the Dutch navy was expanded to 9000 sailors on the pretext of fighting the Dunkirkers. The standard summer equipment of twenty warships was secretly doubled. On 13 July 1688 (Gregorian calendar) it was decided to build 21 new warships. In Germany, matters had come to a head. The Pope had refused to confirm Louis's favourite candidate for the bishopric of Cologne, William Egon of Fürstenberg. Enraged, the French king decided to execute a lightning campaign into Germany before the emperor could shift his troops to the West. Louis also hoped to keep his Turkish ally in the war this way. For the immediate future James had to hold his own, something Louis expected him to be quite capable of, especially if the Dutch were intimidated. On 9 September (Gregorian calendar) the French envoy, D'Avaux, handed two letters from the French king, who had known of the invasion plans since May, to the States General of the Netherlands. In the first they were warned not to attack James. In the second they were advised not to interfere with the French policy in Germany. James hurriedly distanced himself from the first message, trying to convince the States General that there was no secret Anglo-French alliance against them. [e] This had precisely the opposite effect: many members became extremely suspicious. The second message proved that the main French effort was directed to the east, not the north, so there was no immediate danger of a French invasion for the Republic itself. From 22 September,[a] Louis XIV seized all Dutch ships present in French ports, totalling about a hundred vessels, apparently proving that real war with France was imminent, though Louis had meant it to be a mere warning. On 26 September the powerful city council of Amsterdam decided to officially support the invasion. On 27 September Louis crossed the Rhine into Germany to attack Philippsburg and William began to move the Dutch field army from the eastern borders, where it had trained on the Mookerheide, to the coast, even though most of the new mercenaries had not yet arrived. The first blood was shed at about this time in a skirmish at Wincanton, Somerset, where Royalist troops under Patrick Sarsfield retreated after defeating a small party of scouts; the total body count on both sides came to about fifteen. In Salisbury, after hearing that some officers had deserted, among them Lord Cornbury, a worried James was overcome by a serious nose-bleed that he interpreted as an evil omen indicating that he should order his army to retreat, which the supreme army commander, the Earl of Feversham, also advised on 23 November. The next day, Lord Churchill, one of James' chief commanders, deserted to William. [f] On 26 November, James's younger daughter, Anne, who doubted the authenticity of her new brother, and who was greatly influenced by Churchill's wife Sarah Churchill, did the same. Both were serious losses. James returned to London that same day. On 27 November he met with all the Lords Spiritual and Temporal who were then in London. In the night of 9/10 December, the Queen and the Prince of Wales fled for France. The next day saw James's attempt to escape, the King dropping the Great Seal in the Thames along the way, as no lawful Parliament could be summoned without it. However, he was captured on 11 December by fishermen in Faversham opposite Sheerness, the town on the Isle of Sheppey. On the same day, 27 Lords Spiritual and Temporal, forming a provisional government, decided to ask William to restore order but at the same time asked the king to return to London to reach an agreement with his son-in-law. It was presided over initially by William Sancroft, Archbishop of Canterbury and, after it was learned that James was still in England, by George Savile, 1st Marquess of Halifax. On the night of 11 December there were riots and lootings of the houses of Catholics and several foreign embassies of Catholic countries in London. The following night a mass panic gripped London during what was later termed the Irish night. False rumours of an impending Irish army attack on London circulated in the capital, and a mob of over 100,000 assembled ready to defend the city. Upon returning to London on 16 December, James was welcomed by cheering crowds. He took heart at this and attempted to recommence government, even presiding over a meeting of the Privy Council. [g] He sent the Earl of Feversham to William to arrange for a personal meeting to continue negotiations. Now it became evident that William had no longer any desire to keep James in power in England. He was extremely dismayed by the arrival of Lord Feversham. He refused the suggestion that he simply arrest James because this would violate his own declarations and burden his relationship with his wife. In the end it was decided that he should exploit James's fears; the three original commissioners were sent back to James with the message that William felt he could no longer guarantee the king's well-being and that James for his own safety had better leave London for Ham. On 28 December, William took over the provisional government by appointment of the peers of the realm, as was the legal right of the latter in circumstances when the king was incapacitated, and, on the advice of his Whig allies, summoned an assembly of all the surviving members of parliament of Charles II's reign, thus sidelining the Tories of the Loyal Parliament of 1685. This assembly called for a chosen English Convention Parliament, elected on 5 January 1689 NS,[a] which convened on 22 January. William did not intervene in the election that followed. This elected body consisted of 513 members, 341 of whom had been elected before, 238 having been members of at least one Exclusion Bill Parliament, but only 193 having been elected in 1685. The name "Convention" was chosen because only the king could call a Parliament, although as William had been appointed de facto regent by the peers the Convention could be argued to be, strictly speaking, a lawful Parliament. The English Convention Parliament was very divided on the issue. The radical Whigs in the Lower House proposed to elect William as a king (meaning that his power would be derived from the people); the moderates wanted an acclamation of William and Mary together; the Tories wanted to make him regent or only acclaim Mary as queen. On 28 January a committee of the whole House of Commons promptly decided by acclamation that James had broken "the original contract"; had "abdicated the government"; and had left the throne "vacant". The House of Lords wished to amend this, however, as many were still loyal to James and believed in the Anglican doctrine of non-resistance. The Lords rejected the proposal for a regency in James's name by 51 to 48 on 2 February. The Lords also substituted the word "abdicated" for "deserted" and removed the "vacancy" clause. The Lords voted against proclaiming William and Mary monarchs by 52 to 47. On 4 February the Lords reaffirmed their amendments to the Commons's resolution by 55 to 51 and 54 to 53. On 5 February the Commons voted 282 to 151 for maintaining the original wording of the resolution. The next day, the two Houses entered into a conference but failed to resolve the matter. William in private conversation (with Halifax, Danby, Shrewsbury, Lord Winchester and Lord Mordaunt) made it clear that they could either accept him as king or deal with the Whigs without his military presence, for then he would leave for the Republic. But he let it be known that he was happy for Mary to be nominal monarch and preference in the succession given to Anne's children over his by a subsequent marriage. Anne declared that she would temporarily waive her right to the crown should Mary die before William, and Mary refused to be made queen without William as king. The Lords on 6 February now accepted the words "abdication" and "vacancy" and Lord Winchester's motion to appoint William and Mary monarchs. Generally there was a great fear that the situation might deteriorate into a civil war. After being revisited by historians in 1988—the third centennial of the event—several researchers have argued that the "revolution" was actually a successful Dutch invasion of Britain. The events were unusual because the establishment of a constitutional monarchy (a de facto republic, see Coronation Oath Act 1688) and Bill of Rights meant that the apparently invading monarchs, legitimate heirs to the throne, were prepared to govern with the English Parliament. It is difficult to classify the entire proceedings of 1687–89 but it can be seen that the events occurred in three phases: conspiracy, invasion by Dutch forces and "Glorious Revolution". It has been argued that the invasion aspect had been downplayed as a result of a combination of British pride and successful Dutch propaganda, trying to depict the course of events as a largely internal English affair. As the invitation was initiated by figures who had little influence themselves, the legacy of the Glorious Revolution has been described as a successful propaganda act by William to cover up and justify his successful invasion. The claim that William was fighting for the Protestant cause in England was used to great effect to disguise the military, cultural and political impact that the Dutch regime had on England at the time. Many historians have endorsed Burke's view, including Macaulay (1848) and more recently John Morrill, who captured the consensus of contemporary historiography well when he declared that "the Sensible Revolution of 1688–89 was a conservative Revolution". On the other hand, Steven Pincus (2009) argues that it was momentous especially when looking at the alternative that James was trying to enact – a powerful centralised autocratic state, using French-style "state-building". England's role in Europe and the country's political economy in the 17th century refutes the view of many late-20th-century historians that nothing revolutionary occurred during the Glorious Revolution of 1688–89. Pincus says it was not a placid turn of events. In diplomacy and economics William III transformed the English state's ideology and policies. This occurred not because William III was an outsider who inflicted foreign notions on England but because foreign affairs and political economy were at the core of the English revolutionaries' agenda. The revolution of 1688–89 cannot be fathomed in isolation. It would have been inconceivable without the changes resulting from the events of the 1640s and 1650s. Indeed, the ideas accompanying the Glorious Revolution were rooted in the mid-century upheavals. Thus, the 17th century was a century of revolution in England, deserving of the same scholarly attention that 'modern' revolutions attract. The Glorious Revolution of 1688 is considered by some as being one of the most important events in the long evolution of the respective powers of Parliament and the Crown in England. With the passage of the Bill of Rights, it stamped out once and for all any possibility of a Catholic monarchy, and ended moves towards absolute monarchy in the British kingdoms by circumscribing the monarch's powers. These powers were greatly restricted; he or she could no longer suspend laws, levy taxes, make royal appointments, or maintain a standing army during peacetime without Parliament's permission – to this day the Army is known as the "British Army" not the "Royal Army" as it is, in some sense, Parliament's Army and not that of the King. (This is, however, a complex issue, as the Crown remains the source of all executive authority in the British army, with legal implications for unlawful orders etc.). Since 1689, government under a system of constitutional monarchy in England, and later the United Kingdom, has been uninterrupted. Since then, Parliament's power has steadily increased while the Crown's has steadily declined. 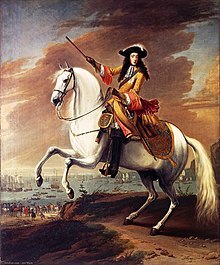 Unlike in the English civil war of the mid-seventeenth century, the "Glorious Revolution" did not involve the masses of ordinary people in England (the majority of the bloodshed occurred in Ireland). This fact has led many historians, including Stephen Webb, to suggest that, in England at least, the events more closely resemble a coup d'état than a social revolution. [h] This view of events does not contradict what was originally meant by "revolution": the coming round of an old system of values in a circular motion, back to its original position, as Britain's constitution was reasserted, rather than formed anew. Prior to his arrival in England, the new king William III of England was not Anglican, but rather was a member of the Dutch Reformed Church. Consequently, as a Calvinist and Presbyterian he was now in the unenviable position of being the head of the Church of England, while technically being a Nonconformist. This was, however, not his main motive for promoting religious toleration. More important in that respect was the need to keep happy his Catholic allies[i] in the coming struggle with Louis XIV. Though he had promised legal toleration for Catholics in his Declaration of October 1688, he was ultimately unsuccessful in this respect, due to opposition by the Tories in the new Parliament. The Revolution led to the Act of Toleration of 1689, which granted toleration to Nonconformist Protestants, but not to Catholics. Catholic emancipation would be delayed for 140 years. —  Philip Stanhope, 5th Earl Stanhope. ^ The importance of the event has divided historians ever since Friedrich Engels judged it "a relatively puny event" (Engels 1997, p. 269). ^ In testimony before a House of Lords committee in the autumn of 1689 (Schwoerer 2004, p. 3). Dekrey, Gary S. (2008), "Between Revolutions: Re-appraising the Restoration in Britain", History Compass, 6 (3): 738–73, doi:10.1111/j.1478-0542.2008.00520.x, ISSN 1478-0542 , Section 3. Hamowy, Ronald (2008). "Glorious Revolution". The Encyclopedia of Libertarianism. Thousand Oaks, California: SAGE; Cato Institute. pp. 208–11. doi:10.4135/9781412965811.n125. ISBN 978-1-4129-6580-4. LCCN 2008009151. OCLC 750831024.